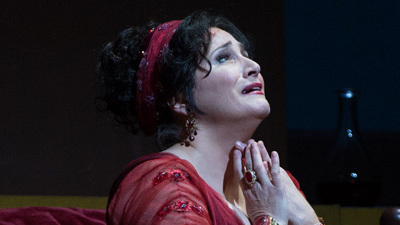 American diva Patricia Racette gives an impassioned performance as the title heroine of Puccini’s drama, the celebrated singer Floria Tosca. Marcelo Álvarez is her lover, the painter Cavaradossi, whose political convictions get him into trouble with Baron Scarpia, Rome’s evil chief of police, sung by the great James Morris. 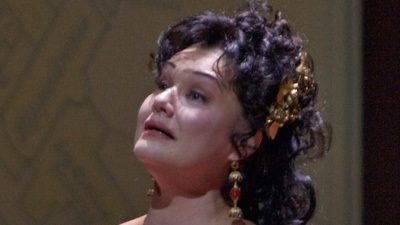 But Scarpia also wants Tosca for himself—and tragedy ensues, with all three protagonists coming to a violent end. In the role of the Sacristan, esteemed American bass Paul Plishka bids farewell to the Met with this performance, after a career spanning more than 40 years with the company.